The forty poles and stakes had already been fabricated by a local welding shop and the big gospel tent had finally arrived in Bangkok, Thailand. Customs wanted $6,000 in duty and so its delivery to us was delayed. Through some intervention and what we considered an act of God, they settled for $1,200 instead and the four of us on the mission team each pulled $300 from our wallets and paid it as quickly as possible. By the time it arrived in the Burmese border city of Mae Sot it was already dark and our crusade was scheduled for 9:00 the next morning. With what little help we could gather we trained our vehicle lights on the spot in the field where we would erect the huge tent. Four sections of canvas had to be stitched together and hoisted atop the three tall center poles. With flashlights in hand, sweat running between our shoulder blades and dripping off the end of our noses, the air filled with choking dust, our small team went to work, challenged by a language barrier that made instructions difficult to understand. 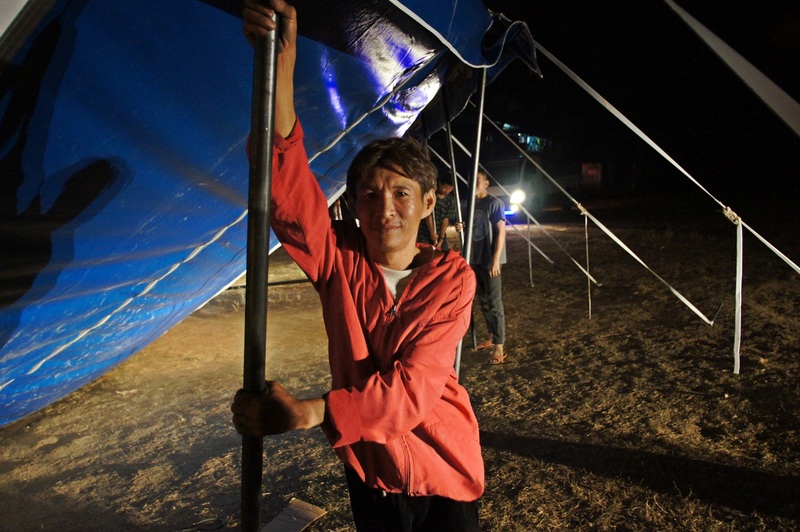 Appearing suddenly out of the darkness, a Burmese man shouted, “What is this?” I answered, “Tent meeting!” He said, “Jesus meeting?” I said, “Yes!” Giving me a big thumbs-up he said, “Oh! We help.” And he disappeared into the darkness as suddenly as he came. I was holding a flashlight for a young man who was stitching two sections of the tent canvas together when I looked down and saw two small children at my side. Their faces were dark and their heads shaved. They were so cute I wanted to drop my flashlight and scoop them both up in my arms. But a voice called my attention from them. When my eyes finally located the man, he was under the tent with one of our preacher boys; his head was bowed and his eyes closed. And as the other Burmese men and children headed for their bamboo homes, this man, a Buddhist, asked Jesus Christ to forgive his sins and become his one true Saviour. A soul had been saved before we even started the meetings. The tent purchased with the sacrificial gifts of God’s people on one side of the planet had become the Tabernacle of God on the other. Thousands of souls would turn to Christ during the coming days, spiritual fruit growing on trees planted in a land far away. Proverbs 11:30 states, “The fruit of the righteous is a tree of life; and he that winneth souls is wise.” Paul the Apostle told the Philippians in Chapter Four that he did not desire a gift but he desired fruit that would abound to their account. 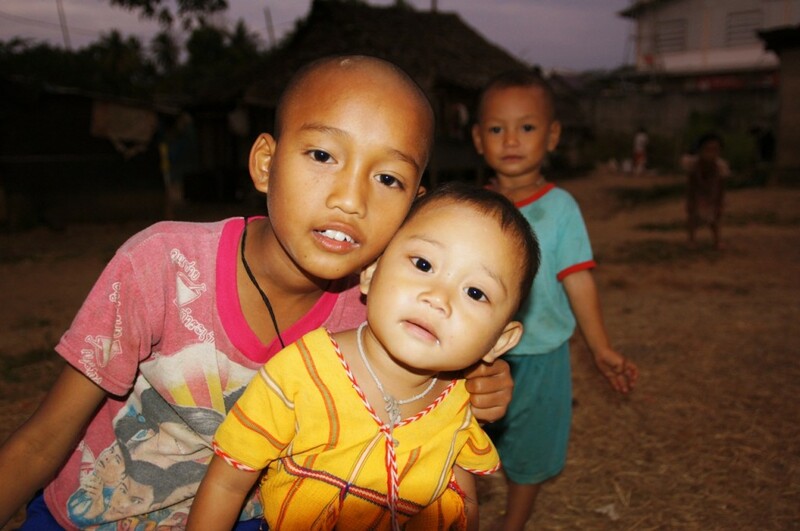 The big gospel tent is still being used among the Burmese people, many are still coming to Christ, and fruit is still budding on the trees of many Christians who had the heart and the faith to give. Want in? GLBM is working in the Lord’s field. Sow some seed; plant a tree; win some souls; bear the fruit. No Comments to "Precious Seed Sown Long Distance"